In anticipation of the crisis of the Euro and more particularly of the Greek crisis that in 2010 hit hard the EU (its institutions and leaders) but especially the Europeans, Franck Biancheri, president of Newropeans, pleaded for the establishment of a bailout not only banks but citizens in Europe. An investments plan that would be needed in three sectors: infrastructure and public services, education and research, environment and renewable energy, accompanied by profound reforms of financial structures and markets. 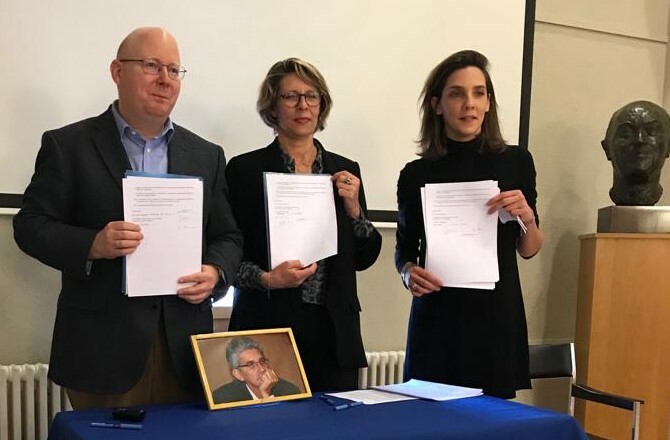 Ten years later, the campaigns launched for the next European elections of political parties or political movements anti or off-system (sovereignists, left-wing trans-European parties such as DiEM25 or the Pact Finance Climat of Pierre Larrouturou …) support equivalent claims. What is Europe for, if it does not serve its citizens? Money of banks bail-out is about to miss its goal: Newropeans requires a European financial commitment which should benefit to all citizens! Newropeans is the one and only political movement in Europe having echoed since 2006 the anticipation of the current crisis. 1. Each state fiddles its bail-out plans on its own ground, with no European cooperation and most of all with no real willingness of a radical reform of the banking and financial system. 2. By those bail-out plans, Member States (apart from the United-Kingdom) have offered money and guarantees to the banks without any sufficient counterparts. As every loaner, as every shareholder, the governments were right to ask for guarantees and for some control over the banks commercial policy as a counterpart to their loans. Towards their tax-payers, states have the obligation to get enough influence within the banks in order to make sure that the errors at the root of this crisis don’t happen anymore. In Environment and renewable energies. Those investments are no meant to finance infrastructures intending to be privatised. The financial crisis must put an end to the privatisation of the public services and networks, in particular when these services cannot be replaced by a real competitive market between several private sector agents. Newropeans will fight to set up another option to the privatisation aiming to ease the operation on the single market: we will bring the European parliament to adopt a status for the “European public services networks” allowing to efficiently combine public services and Europe. We are currently seeing panic-stricken politicians trying to down the problem with a “tsunami of money”, having no idea of the valid solution and without regard for the money of the tax payers and of generations to come. We are facing the big risk that all this money will only be used to refund the people responsible for the crisis at the expense of all the other people and once the storm is weathered, they will start again to make huge amount of money with the same methods, knowing that if needed the States will save their stake. Newropeans is the only political movement in Europe having echoed since 2006 the anticipation of the coming of the current crisis. Banks must serve the real economy and not lead it; banks must supply companies with money depending on their needs and must be paid according to the service they are offering. Companies do not have to provide profits on demand of the banks or financial markets. Banks must not take part to the initiation or supplying of speculative bubbles; Even if huge amount of money can be earned during the inflation of the bubble, risks due to its burst and the overall damaging effects it has over the all society must forbid banks to be part of it. Thus banks shouldn’t provide loans on speculative purposes and should not engage their equity in speculation. Banks must stop all activities with tax haven. Banks must work out their incentives (bonus) based on the long term performance of the business of their employees and leaders. The present losses must cancel the past bonus, which can turn out negative. Securisation of loans (in order to sale it later on) and the purchase of such securities is forbidden. Banks must scrupulously follow the Bâle II ratio between equity and liabilities. Every off-balance liabilities (in order to create a hiding leverage) are forbidden. Newropeans refuses that the enforced measures just serve to save the people having brought Europe within this crisis by following the US patterns. We must now find out the methods and the tools allowing to the 500 millions of EU citizens to live through the hard coming years. Newropeans requires that Public Money serves to ensure the future of all Europeans and not only the one of the financial elites. Newropeans requires that Europe carries out from now on an in depth reformation of the structures and operations of the financial markets. To govern is to predict. And to predict, is to act right now! *Today the transeuropean political movement “Newropeans” as it was created by Franck Biancheri in 2000 no longer exists. The archives can be consulted in the frame of the Franck Biancheri Documentation managed by the AAFB (Association des Amis de Franck Biancheri). 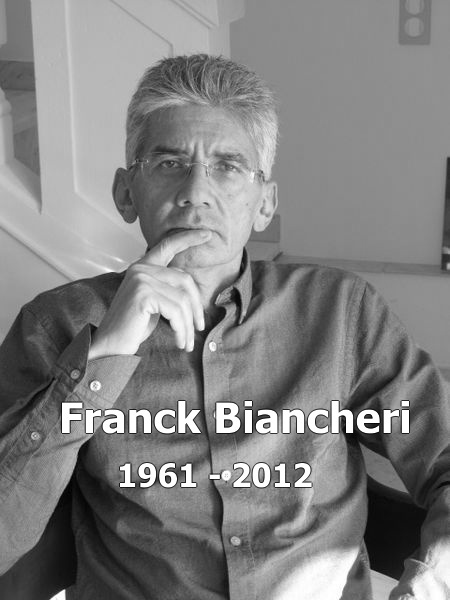 The AAFB has been created in 2012 after the decease of Franck Biancheri (Oct. 2012) by his direct heirs, and is the unique legitimate structure to keep and publish the works and memories of Franck Biancheri.